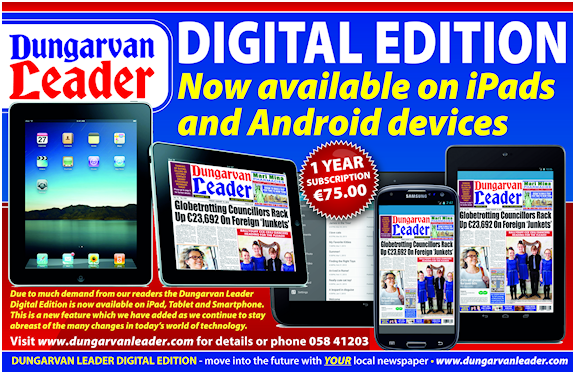 Subscribing to the Dungarvan Leader’s Digital Edition is easy - and can save you up to 80% off the current subscription rates for the print version. You can subscribe for six months, a full year - or just read a single issue. Please click the link above and register with your email address, password and credit card details.